Elizabeth flashed an amused glance at William. “Give me your coat, dear. Allen will hang it up. I’m sure Mrs. Darcy will be right—” Mrs. Reynolds’s words died at the sight of Rose gliding down the steps. “It was, thank you.” Elizabeth was conscious of her hands dangling awkwardly at her sides. How did this woman manage to make her feel like a gawky teenager? She lifted her chin, fastened a confident smile on her face, and met Rose’s level gaze. The fourth-floor guest room was decorated in pale yellow and white, accented with touches of blue. “This is beautiful,” Elizabeth said softly. “I always thought this room would make a wonderful nursery,” Mrs. Reynolds said with a sly smile. Elizabeth chose to ignore the hint. She strolled to the balcony doors and peeked out. While she stood there, Allen arrived with Elizabeth’s suitcase and carry-on bag. “Would you like me to unpack for you?” Mrs. Reynolds asked. Elizabeth whirled to face her, horrified. “Oh, no, thanks. I can do it.” Perhaps a high-class lady would have taken for granted that someone else would unpack her clothes, but a high-class lady wouldn’t have a haphazardly packed suitcase. “Coffee, please.” Elizabeth could no longer suppress the yawn she’d been fighting. She carried a pile of clothing to the walk-in closet, stopping to gawk at the large space, fitted out with shelves, drawers, and rods at various heights. She reached up for a hanger, and shrieked as a pair of arms grabbed her around the waist. “Sorry.” William’s deep voice rumbled in her ear. “I didn’t mean to scare you.” He pulled her against him, his breath hot on her neck. “As far as possible,” he muttered, leaning down to nuzzle her neck. “No problem.” He scooped her up and trudged over to the bed. “We’ll take a nap together.” He collapsed onto the bed with her, his fingers immediately going to work unbuttoning her blouse. “Lizzy …” he groaned. He flopped onto his back and covered his eyes with his forearm. He sighed and sat up, his expression sullen. “Fine. I guess I can wait a little longer.” He hefted himself off the bed and loomed over her, scowling. “All right. That works.” He said the words quietly, as though to himself. He gave her a stern look. “Ask Allen to drive you. My future wife does not need to ride the bus.” He kissed her again and departed. “Yes, sir,” she called after him, her lips twitching into a smile. It echoed a similar conversation at the airport while waiting for her suitcase. Unbeknownst to her, he had instructed Sonya to upgrade her airplane ticket, the one she had insisted on buying herself, to first class. When she had thanked him, though with a mild protest, he had declared that his future wife didn’t need to fly coach. At some point she would have to draw a line, but upgraded transportation seemed harmless. But she was teetering on a treacherous slope. Next he might rent her a penthouse till the wedding, because his future wife shouldn’t live in a fifth-floor walk-up. Or he would offer her a generous allowance, because his future wife shouldn’t have to work. 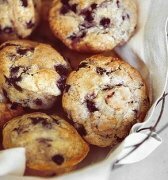 She was still pondering the matter when Mrs. Reynolds arrived with a basket of muffins bursting with blueberries and a pot of coffee exuding a faint hazelnut fragrance. Because his future wife shouldn’t have to walk downstairs for breakfast. Vivid memories flooded William’s mind as he stood on MacDougal Street in Greenwich Village. Six months ago he had stood in the same spot on the night of their first date, which he had almost ruined with an overdose of anxiety. If not for his frantic plea for a second chance, she would have walked out of the café, and out of his life, before their relationship had even begun. But things were different now. She wasn’t going to walk away this time. They had come too far together, and he meant too much to her now. Didn’t he? He jammed his hands into his trouser pockets, only to realize a moment later that he was jingling his loose change. He tried the pockets of his overcoat instead. Better. Nothing to fidget with. At least the day was pleasant, sunny and unusually warm for New York in late December. 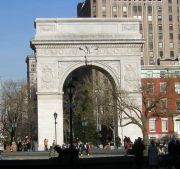 Restless and in need of exercise, he had instructed Allen to drop him off at Washington Square. He had wandered through the park with his overcoat unbuttoned, noting the various distractions: holiday-season tourists posing beneath the arch, canine visitors frolicking in the dog run, and two parka-clad men matching wits at chess, their pawns and rooks casting angular shadows across the concrete chess table in the late-afternoon sun. Despite his detour, he had arrived at the café twenty minutes early. Rather than stand still and let his nerves run amok, he had continued on to Bleecker Street, the eclectic heart of the Village. Tattoo parlors and vintage clothing boutiques lined the street, shoulder to shoulder with tiny delis and hole-in-the-wall pizza places. The Village wasn’t William’s territory—he was an uptown New Yorker—and his previous visits here had been restricted to the café. It seemed impossible that this block, vibrating with earthy vitality, could belong to the same city that hosted the posh high-rises bordering Central Park, the soaring towers of Midtown, and the graceful brownstones tucked away on the Upper West Side’s tree-lined streets. 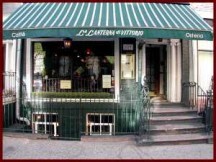 His walk had consumed another ten minutes, depositing him back in front of La Lanterna di Vittorio with time to spare. How long had he been standing here, his hands still buried in his coat pockets? He checked his watch. Five past four. Then he saw Elizabeth turn the corner. His heart, echoing its response six months before, executed a jittering dance. “That sounds good.” He didn’t add that he would prefer it if nothing surfaced. He still cherished the hope that she would travel with him, but this wasn’t the time to raise that difficult subject. William nodded and led Elizabeth to the table where they had sat on their first date. He ordered for them: two cappuccinos with extra foam, one of them decaf, and a slice of tiramisu. “That doesn’t sound good.” Her smile faded. Elizabeth placed her free hand on top of his, a frown compressing her brow. Once, she would have filled the silence with anxious questions. But she had learned to wait, to give him time to tell his story. The thought gave him fresh courage. Their order arrived, interrupting him. He released Elizabeth’s hands, and they sat in tense silence until the server departed. “But?” She watched him with anxious eyes. “I take it you ignored them too?” she asked, raising her eyebrows. He nodded. “I was scared at first. Mamma had taught me that if I exerted myself, bad things would happen. But Richard was only a step or two shy of godhood to me. Anything he did, I wanted to do.” He paused, studying the remaining foam on his cappuccino. “My point is that all the worry gradually stole her energy, her zest. Maybe …” He stopped, balancing at the edge of some dangerous emotional ground. He took a deep breath. “My father must have fallen in love with that zest. I understand, because it’s one of the things I love most about you. Maybe when it faded …” He shrugged, unable to voice the obvious conclusion. It had occurred to him, but he had still ended up blaming himself. He didn’t answer, letting her words wash over him. His eyes dropped to study the scarred surface of the table. He exhaled all the tension in his body. He had known that she would respond this way, but he had needed to hear the words. There was only one possible response to her declaration: he leaned over and kissed her. “I hate to think of you going through everything Mamma did,” he whispered hoarsely. She was right. He and Dr. Rosemont had discussed this point. “I love you,” he murmured, and kissed her again. He sat back and sipped his capuccino, noting that the café workers watching with interest. Too happy to care, he reached into his pocket and drew out a black velvet box, the same one he had pocketed in Elizabeth’s dining room on that terrible night a month ago. He opened the box and removed the glittering diamond ring. “I believe this is yours,” he said. Her eyes shining, she extended her left hand, and he slid the ring onto her finger. “It’s even more beautiful than I remembered,” she said softly. They studied it together and then shared a smile. I could never leave her, no matter what. I’d be leaving my own heart behind. He had never understood his father’s actions, but they seemed even more incomprehensible now. “That was before we saw the mistletoe, so it doesn’t count.” He leaned toward her. She leaned forward as well, meeting him halfway. “Are those William Darcy’s rules for mistletoe?” she murmured, an impish light in her eyes. She arched an eyebrow, but he silenced her retort with his lips. Elizabeth smiled her thanks and accepted a glass of wine from Allen, who was tending bar in the library. So far, the Darcys’ Christmas party had been more pleasant than she had expected. Rose had proved a gracious hostess, repeatedly introducing Elizabeth as William’s fiancée without even a hint of indigestion, until Elizabeth had begun to wonder if finishing schools taught advanced acting classes. Or perhaps Rose believed that anything less than full support would imply criticism of William’s judgment. Rose had even cast an approving glance over Elizabeth’s black strapless dress and the upswept hairdo she had managed with emergency assistance from Mrs. Reynolds. Though anything would look good when accessorized by this ring. Elizabeth couldn’t stop staring in awe at her left hand. The simple platinum setting allowed the fiery diamond to take a well-deserved starring role. She didn’t need to be told that William, true to his old-money upbringing, had invested more in the quality of the stone than in its size. Not that it was small, but neither was it flashy or vulgar. In other words, Caroline Bingley would turn up her nose at it. Aside from what it represents, that is. Caroline had probably heard about William’s engagement by now. I wonder if she’s in sackcloth and ashes, weeping and rending her garments. Elizabeth snickered. A statuesque brunette wearing a cream silk pantsuit and a haughty expression approached the bar. She acknowledged Elizabeth with a polite nod that ended in a curious glance at the ring. Elizabeth had been the object of plenty of curious glances, along with envious ones, especially whenever William stood beside her. The brunette collected her glass of wine and returned to two other youngish women in designer dresses, both sporting designer noses to match. To Elizabeth’s anxious eye each one looked at least six feet tall and scarcely over a hundred pounds, with flawlessly sculpted eyebrows registering a permanent look of surprise. Elizabeth, temporarily lacking a conversational partner, didn’t want to be seen standing alone, nor did she want to force her way into a circle of friends who might find a stranger’s interruption unwelcome. As the evening had progressed, people had been less inclined to mix, instead settling into small groups of friends, or at least acquaintances. She scanned the horizon for another guest standing alone, or for an awkward group in need of a conversation starter, but she saw no one. William stood across the room with Robert and two men Rose had introduced as directors of DarCom, the family’s multinational corporation. Judging from their serious expressions, they were talking business, something her approach would disrupt. Seeking a temporary occupation, she wandered over to the food table. 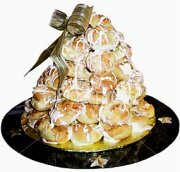 Step away from the cream puffs. She had already devoured three, all filled with Mrs. Reynolds’s legendary chocolate mousse. That meant penance in the form of a long, brisk walk in the park tomorrow. She snatched a carrot stick and wandered over to study an antique map of England displayed in an ornate gilt frame. Snatches of a stage-whispered conversation drifted over from the gaggle of stylish women standing nearby. “What do you suppose the attraction is?” mused a third, her voice higher-pitched than the others. “She’s pretty enough, and she seems pleasant.” This came from Fiona, the brunette from the bar. “A music teacher. Not quite the same thing.You know what they say. Those who can, do. Those who can’t …” Soft giggles followed that remark. General laughter followed this remark, punctuated by a high-pitched giggle. An involuntary glance showed them all gazing in William’s direction. He looked delectable in his new black suit with satin lapels, a black tie, and a flawless white shirt. Elizabeth, with assistance from Georgiana, had bullied him into buying this contemporary version of formal wear during their Thanksgiving shopping expedition, though she had doubted he would ever wear it. She knew that he also wore her birthday gift to him, the onyx cufflinks. Fiona, perhaps finally noticing Elizabeth’s presence nearby, whispered an inaudible reply that provoked nervous laughter from the others. Enough. Elizabeth dug her fingernails into her palm. William was hers now, and she had no reason to doubt his fidelity. Besides, he might have shared his body with others, but not his heart. That, she knew he had given only to her. “Okay.” Georgiana’s sigh suggested otherwise. Georgiana’s only response was a skeptical glance and a soft snort. “Whatever.” Georgiana sighed and stared at the tree. “No, I didn’t.” Elizabeth’s stomach clenched. She knew about one, and that was enough. “Fiona Wright is over there, the one with the dark hair. 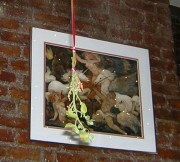 And then …” Georgiana craned her neck, scanning the room. “Georgie!” Elizabeth, her face instantly hot, darted quick glances around them. “I’m not supposed to know. Gran thinks it would stunt my growth or something. But when he goes on a date and doesn’t get home till after breakfast, it’s like, duh.” She rolled her eyes again. Elizabeth smiled weakly and focused on the tree. “Let me see your ring,” Georgiana said after a lengthy pause. “I agree with him.” Elizabeth exhaled loudly before she could stop herself. Perhaps Rose was betting that the relationship wouldn’t survive a long engagement. “Here are my two best girls.” William stepped between Elizabeth and Georgiana and wrapped an arm around each of their shoulders. “Are you two talking about me?” he asked, grinning at Elizabeth. “What an ego. Always thinking you’re the center of the universe.” Elizabeth doubted it was proper decorum, but she kissed his smooth-shaven cheek anyway. “It’s kind of an inside joke,” Elizabeth said. “Don’t you want to stay and hear me play?” William asked. After a brief conference with Rose, Georgiana left the room without a backward glance. William led Elizabeth to the piano. “Sit down,” he said, seating himself and patting the bench beside him. “Well … okay.” She joined him on the bench. The guests, noticing William’s movement to the piano, clustered nearby, and the buzz of conversation subsided to a soft hum. After flinging a sly wink at Elizabeth, he began to play the rambunctious medley of “Rudolph the Red-Nosed Reindeer” and “Let it Snow”1 with which he had closed his recital at the conservatory. She studied the faces of the guests as he played. Some of the listeners tapped a foot or swayed slightly to the beat, and most wore smiles that broadened as the music drove toward an energetic peak. Even Rose seemed to be enjoying the music. At the conclusion of the piece, the guests clamored for more. He launched into a lush, pensive rendition of “Have Yourself a Merry Little Christmas.”2 His music dissolved her insecurities about Fiona, her annoyance at Georgiana’s petty slights, even her worries about Rose’s plans for the wedding. She glanced at her ring and then at the man beside her, and nothing else mattered. The impromptu concert signaled the end of the evening, as Rose had no doubt intended. The guests drifted away until only the family remained. 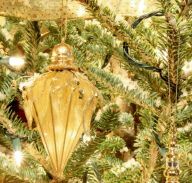 Robert and Eleanor stood with Rose, inspecting the Christmas tree and talking in soft voices. William lounged on the sofa beside Elizabeth, his arm resting behind her head. Richard sagged in a nearby armchair, a half-empty glass of scotch dangling from his hand. For the past several minutes he had regaled Elizabeth with tales of his recent exploits in Barbados, while she tried to understand his unusual perspective. “I don’t know. All that bed-hopping sounds like a lonely way to live.” She watched Richard’s reaction carefully, but he simply shrugged and sipped his scotch. “No, I’m coming.” He rose to his feet, as did William and Elizabeth. “Does your cousin-to-be get a good night kiss?” he asked. “You bet.” She stepped forward and kissed his cheek. “Count on it,” William retorted, threading his arm around Elizabeth’s waist. The Fitzwilliams departed, and Rose stepped into the kitchen for a word with Mrs. Reynolds. 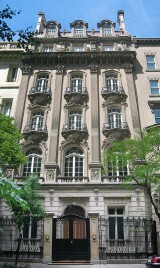 William escorted Elizabeth to the fourth floor and through the central sitting area to her bedroom door. “So I guess we’re official,” she said. She reached up to smooth his hair. “Oh, yes. Especially Fiona Wright.” She raised an eyebrow. “No,” he said with a sigh. “And I’m sure that makes it seem like I was …” He sighed, wearing a pained expression. He nodded, his eyes in full basset-hound mode. She nodded. “It’s partly my fault. If I didn’t want to hear them gossip about us, I should have walked away.” Yeah, right. Like that was going to happen. Elizabeth doubted the warning would protect a woman’s heart where William was concerned. “I’m glad,” she said, the words little more than a breathy moan. He sighed. “You have more excuses than any woman I’ve ever met.” But he removed his hand from the doorknob. “But … No, I can’t.” She shuddered at the thought of Rose catching her tiptoeing down the stairs. “We’ll be quiet. It might even be exciting, to try not to make any noise.” He bent down and began kissing her neck again. His lips descended to devour hers again, and his hand slipped between their bodies to cup her breast through her chiffon dress. He pressed against her, his body as hard and unyielding as the door behind her. Heat flooded her, flaming rivers surging through her veins. Only he could put out the fire. Only he could send her hurtling through the universe of shuddering delight he had taught her to crave. Elizabeth almost laughed at this blatant “the coast is clear” announcement. After Mrs. Reynolds left, she turned back and found William behind her, wearing a resigned expression. “And there’s nothing I can do to change your mind?” He reached for her. He stalked off without a backward glance. Once he was gone, she shook her head and chuckled softly to herself. Marriage to William might be many things, but it would never be dull. She had won this skirmish, just barely, but as his frustration grew, so would his powers of persuasion. She needed to strategize, to add fresh weapons to her arsenal. But not tonight. With a huge yawn, she made her way to her bedroom, more than ready for a good night’s sleep. 1 “Rudolph the Red-Nosed Reindeer/Let It Snow,” performed by John Bayless on Christmas Rhapsody, © 2004, Koch Records. Listen to a sample on iTunes. 2 “Have Yourself a Merry Little Christmas,” performed by John Bayless on Christmas Rhapsody, Koch Records, © 2004. Listen to a sample on iTunes.